Lille sporting director Luis Campos has insisted that his compatriot Jose Mourinho will not be taking the Lyon job any time soon. As noted by Goal.com, the Portuguese tactician had emerged as a shock candidate for the job with current boss Bruno Genesio set to step down at the end of the season. 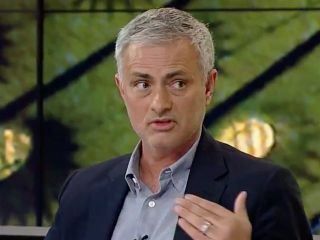 Mourinho has been out of work since leaving Manchester United in December, and it’s widely expected that he will return to management this summer having been busy taking a break and doing punditry work in recent months. However, Campos, who worked with him at Real Madrid, doesn’t believe that his compatriot will be joining him in France next season, as he has ruled out a potential job at Lyon for two key reasons. “OL is a great club, but he’s looking for a more important project. And he’s expensive,” he told Telefoot, as noted by Calciomercato. Given his track record and trophy haul in a glittering managerial career, it has to be said that it was difficult to see Mourinho take such a job given he would have to try and find a way to topple the likes of Paris Saint-Germain with a much more limited transfer budget. Having had spells with Chelsea, Real Madrid, Inter and Manchester United, it seems highly likely that he will hold out for a major job to open up at one of the heavyweight clubs in Europe, and not to disrespect Lyon, but they arguably don’t fall into that upper echelon category. In turn, time will tell where Mourinho ends up next, but after a tumultuous end to his stint at Old Trafford, he certainly has damage to reputation to repair as he hopes to enjoy a more successful tenure at his next club.